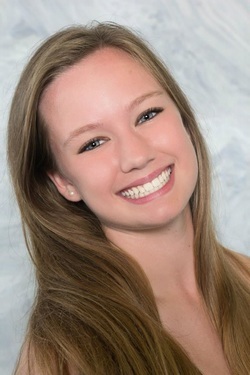 ​ Elena Benn is a senior at St. Agnes Academy, and this is her third season as a member of Exclamation Dance Company. She has been dancing since the age of 2 at First Presbyterian Church's FIT Dance for Kids, then continued on to West University Dance Centre in 2009. She has received many awards for her solos and group dances while being a member of West University Dance Centre's competitive team, Sole Discretion, including a scholarship for a summer intensive in California. Elena's areas of study include ballet, pointe, tap, jazz, and contemporary. In addition to dance, Elena is a member of the National Honor Society, the St. Agnes and Strake Jesuit Mixed Chorus and is working on her Girl Scout Gold Award. Elena plans to continue dancing in college and would like to thank Ken for his love, leadership and support.